Although it is going to be chilly outside for quite some time yet, we couldn’t help but pass up these darling lace pieces. You could get a head start on spring or summer garments with these beauties! 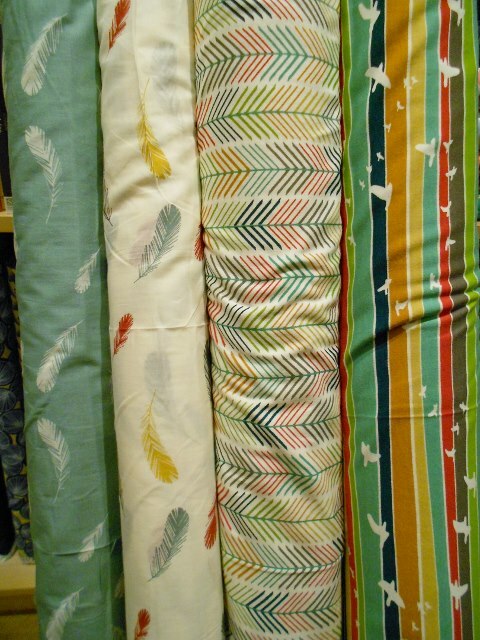 These fabrics you have to see in person, as the camera doesn’t do justice to their irridescence. 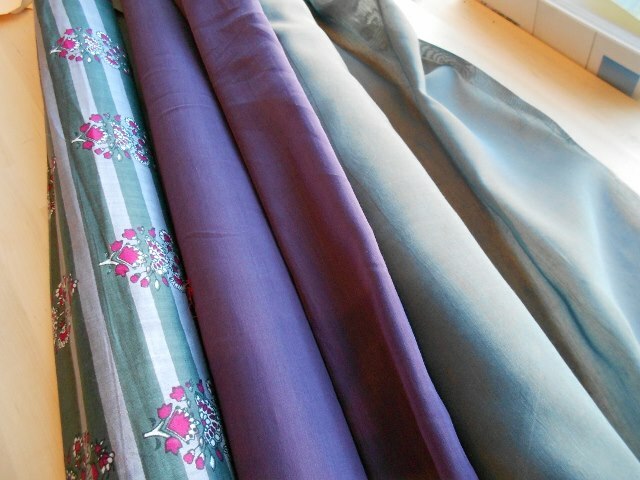 The two on the left are light weight and semi sheer 100% silk, with different color warp and weft threads. 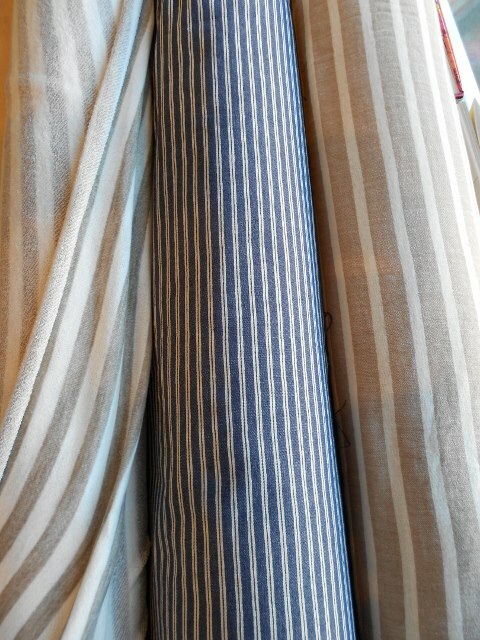 The one on the right is a dreamy voile that drapes and feels just as smooth as the silks. 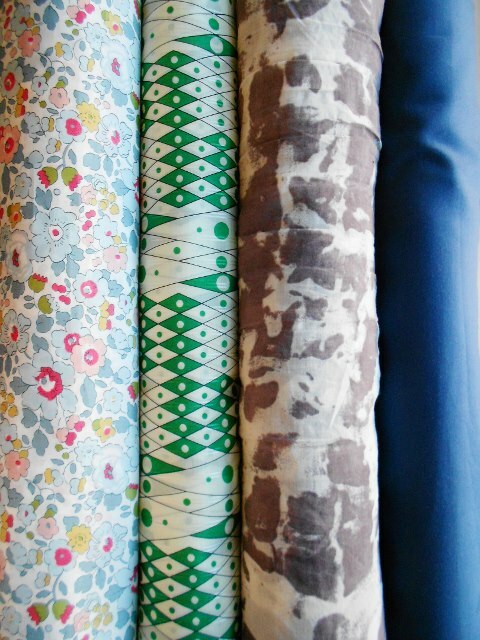 To help keep you on track with fabric appropriate for our current weather situation, here are some medium weight fabrics. 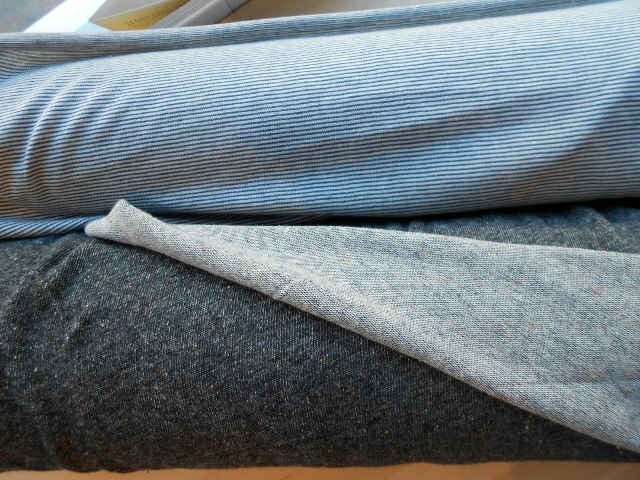 From the right we have a super soft terry knit, a stretch striped twill, and a bottom weight woven cotton. Here are some more marvelous knits that would be great in one of our newer patterns. How about a Linden sweatshirt in the top railroad stripe knit? Or a Strathcona Henley in the bottom reversible speckled grey knit? 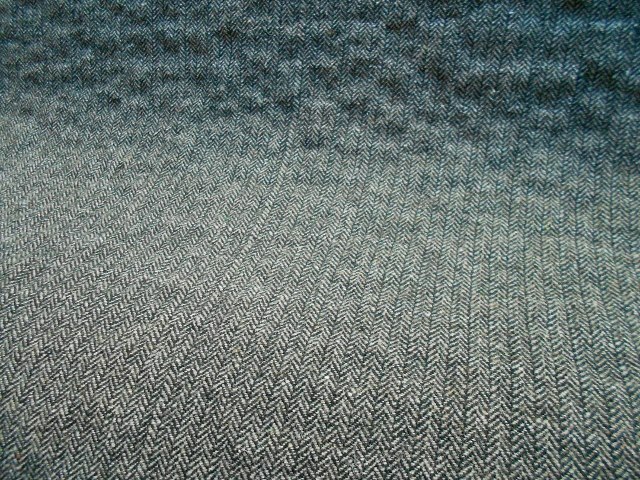 To really intice your taste buds, check out this 100% wool herringbone. This would make a great coat for late winter/early spring; or a snazzy suit. 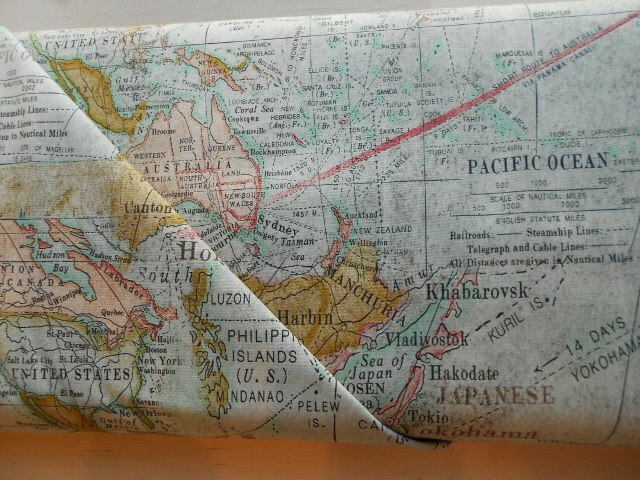 World travels has been on our minds lately, and to inspire 2015 travels and map your routes check out this great print. Just in today, we received a big ol’ box from one of our favorite organic cotton companies, and we are stoked to have a collection of cottons from them! 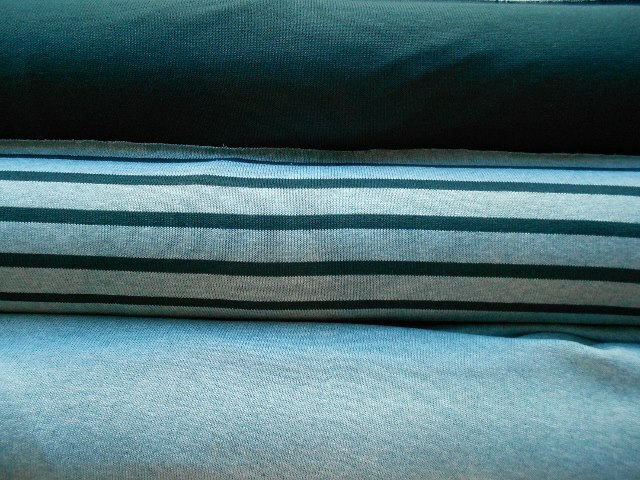 The two on the left are voiles, the two on the right are knits. 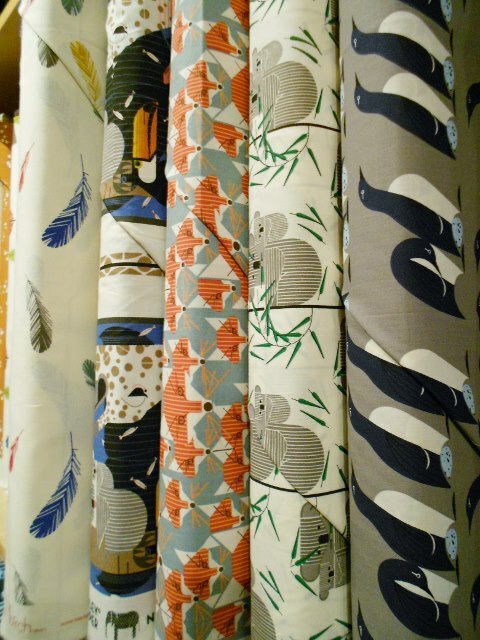 We love all things Charley Harper here, so we stocked up on these organic cottons with his lovely designs. 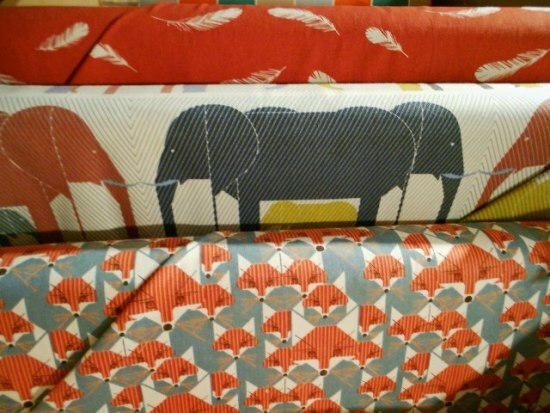 These charmers are quilting weight cotton. Here we have organic cotton canvas! 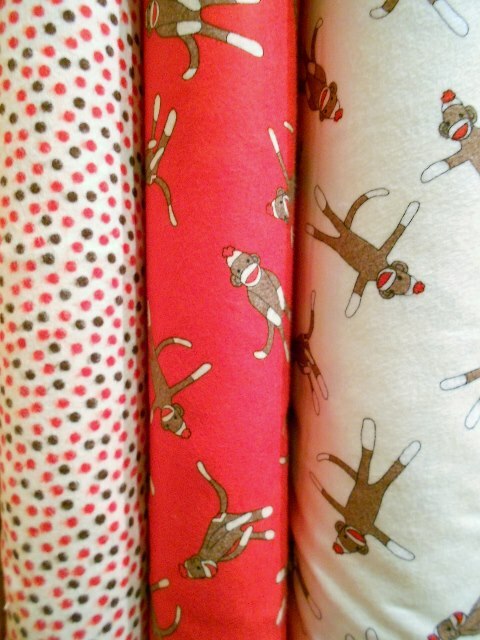 Last but not least, we got in a new mini collection of sock monkey flannel.